Paul was easy to reach and offered excellent information on the local area. Paul and his wife are very courteous, thank you for the nice apartment and the gifts, we had very nice holidays. The location is excellent. Very nice appartment, big enough for 6 persons. Very clean, towels enough. Quiet. We really enjoyed our stay. Through no fault of the property owner's there was an issue with our booking. He couldn't have been more accommodating and helpful. And once everything was sorted the apartment itself is fantastic and the location could not be handier. 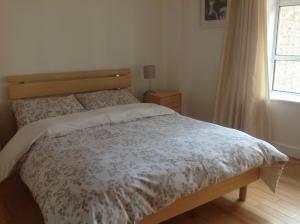 Three good sized bedrooms all double. Excellent kitchen facilities. Lovely large lounge diner. 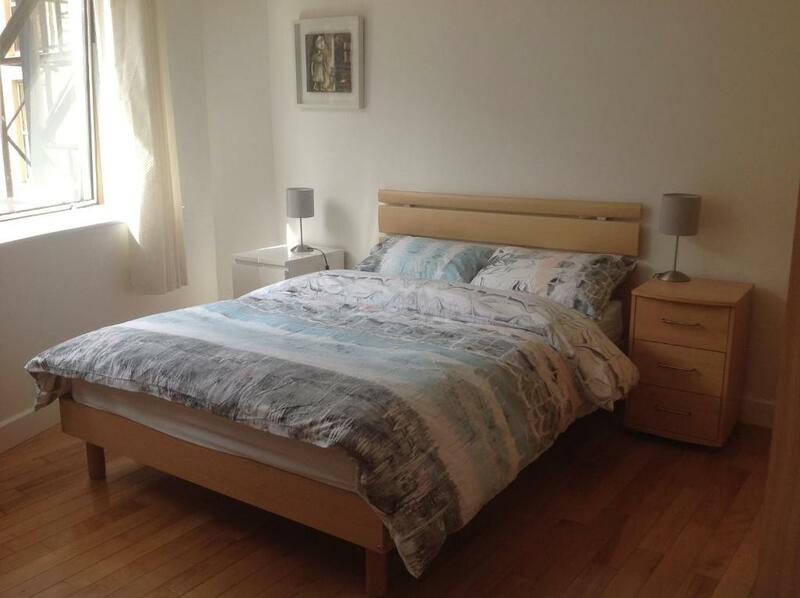 In very good location about 10 - 15 mins walk to O’Connell St and Temple Bar. Would stay here again. The location is excellent! Everything is in walking distance - Guiness, downtown, all important spots.. you just plan your day and walk from here. Good restaurants and food stores in 5 min distance. Very good area. And having Jameson Distillery downstairs is soo fancy.. the apartman has parking, we did not use it but it is nice to have because parking is expensive. Actually we were very lucky - we visited durint the Pope's visit, and he was just driving by the apartman, we could see him very close.. it was very exciting. Bedrooms are big, apartman is very cosy. Nice to have games in the living room. They let us checking in very early which was really helpful!! The apartment is in a great location — all the major sights are within walking distance and the tram is right around the corner. Close to restaurants and grocery stores, not to mention the mummies in St. Michan's. Beds were comfortable and there were lots of clean linens for everyone. Nicely stocked kitchen. Paul was quick to respond and very helpful. We really wish we'd been able to stay in Dublin longer! Lock in a great price for Whiskey Corner - City Center + Parking – rated 8.8 by recent guests! Attractively located right in the heart of Dublin, Whiskey Corner - City Center + Parking offers city views. Housed in a building dating from 1998, this apartment is a 2-minute walk from the Jameson Distillery and provides free WiFi. The apartment comes with 3 bedrooms and a fully equipped kitchen with an oven and a microwave. A flat-screen TV is featured. St. Michan's Church is 1,500 feet from the apartment. The nearest airport is Dublin Airport, 7 miles from the property. When would you like to stay at Whiskey Corner - City Center + Parking? Stay in The Old Jameson Distillery in a bright and clean apartment overlooking museum. 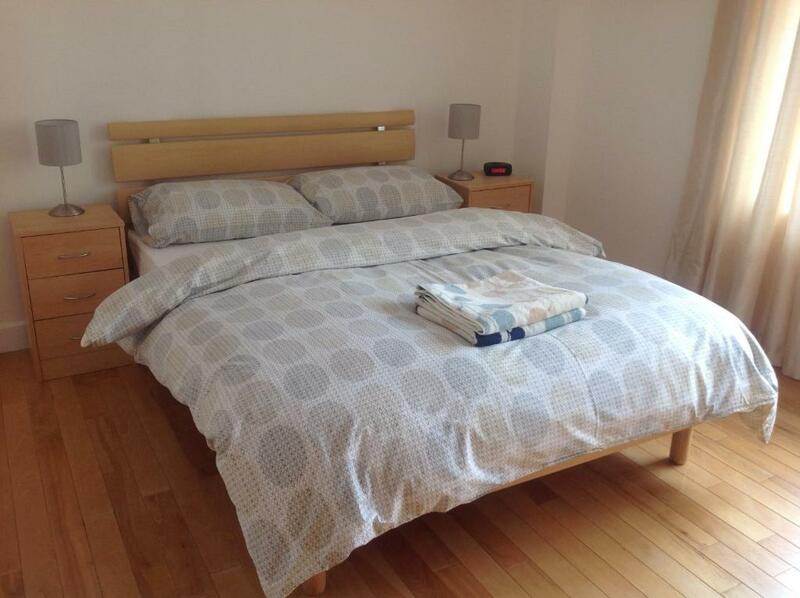 10 to 15 minutes stroll to city center and Temple Bar, or catch the Luas tram 2 minutes from door. Secure underground FREE PARKING also available. Solid wood floors throughout and down lights. Really fast Wi-fi of course. All the amenities you will need for a pleasant stay. We have recently refurbished the apartment so everything is fresh and clean with new pictures on the wall and other decorations together with all the amenities you will need and desire. Included in the stay will be fresh and clean bed linen and towels, some toiletries, some breakfast stuff, like tea/ground coffee, muesli, etc., mugs, plates, cutlery, glasses, pots and a frying pan. But in case you need something else, there are always plenty of convenience stores just about 3 minutes walk from the apartment. There is also a washing machine, detergent and an ironing board in case need to do some washing. Secure underground parking is also included free. I imagine this would be important to you if you are on a self drive around Ireland. Parking in the area is on an hourly basis and very expensive. Apartment complex sits on Smithfield Plaza. There's often something happening on the square itself, be it a market or film festival, sporting event up on a big screen, live performance of some kind etc. The Generator hostel next to the Jameson distillery keeps things lively. The Maldron hotel is there for a fancier stay if that's your thing. The bars, restaurants, nearby takeaways and cafes are generally very good. It's a great location, 15 minute walk away from the city centre. However, there are some very decent cafes and pubs and the Jameson Old Distillery / Visitor Centre is well worth a visit. Recommended if you are looking for art, music, food or drinks: Block T, My Meat Wagon, Oscars, Cinnamon, Dice Bar, The Cobblestones, Generator , Jameson Distillery, Fresh SuperMarket, Wuff, Frank Ryan's all surround the square and will welcome you in an authentic and genuine way. House Rules Whiskey Corner - City Center + Parking takes special requests – add in the next step! Please inform Whiskey Corner - City Center + Parking of your expected arrival time in advance. You can use the Special Requests box when booking, or contact the property directly using the contact details in your confirmation. There could have been additional mirrors as 2 of the 3 didn’t have any. There were 3 2personsbeds available. One person of the six of us complained about the matress, too hard. Had some minor issues with collecting the keys. Temperature of the water in the kitchen and bathroom was a bit erratic (eg. sometimes there was no hot water). Great locations. Lots of space. I hadn't realized this was an AirB&B so we were just using someone's apartment. This made the location a bit hard to find. Also, for a 3-bedroom apartment for 4 people, having just one bathroom was a bit of a challenge. The host was very helpful upon arrival. Be aware of having 1 bathroom - for 6 people it can be tricky. (but it was no problem for us) It is not a fancy place, furnitures are worn - but it was very cosy, we really enjoyed our stay. Found the apartment unclean - greasy benchtops and table. Had to be cleaned before use. Only the1 bathroom made it hard - no exhaust fan. Bad communication regarding the carpark - no directions given from carpark to apartment.. Required a carpark number - which was not given. All the pillows and duvets were down-filled and I am extremely allergic to feathers. It would be nice to have a couple of synthetic pillows available for people like me. The beds are very firm. Only 1 pillow for each person. A bit of noise from the cobbled street. Great central location. Good spacious apartment.